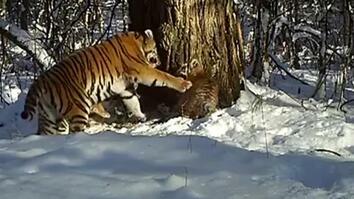 May 26, 2017 - See a rare Siberian tiger returned to the wild. In 2016, Vladik was spotted roaming the busy streets of Vladivostok, Russia. Eventually he was sedated and captured by wildlife rangers. 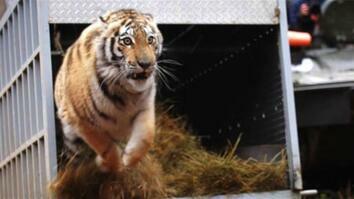 After undergoing rehabilitation, he was released in Bikin National Park, far away from any human settlements. He's about three years old and weighs approximately 300 pounds.